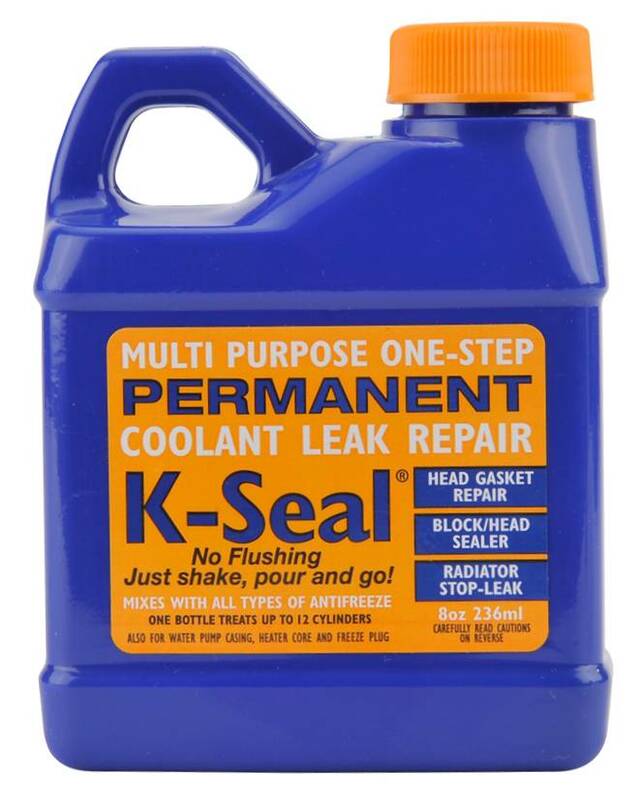 K-Seal is the best-selling ‘trade trusted’ permanent total coolant leak repair. 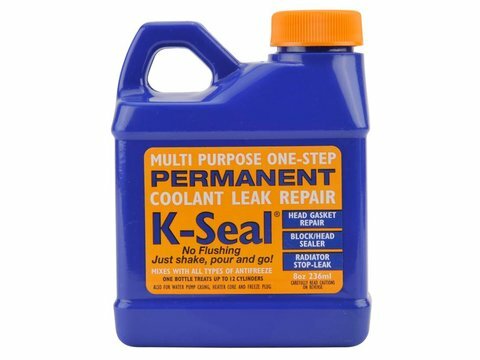 K-Seal is the best-selling ‘trade trusted’ permanent total coolant leak repair. The super concentrated formula not only permanently repairs blown head gaskets it also seals leaks in the radiator, heater core, head, block, water pump and core plug. K-Seal mixes with all antifreeze / coolant so there is no need to drain or flush the system before or after treatment, and just one bottle is all you need for engines up to 12 cylinders. 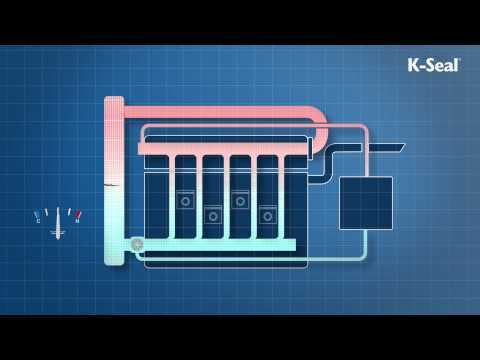 For heavy duty engines use K-Seal HD which is designed for systems up to 57 quarts. K-Seal has been independently tested at Brighton University and conforms to the American Standard ASTM D-3147 for Stop-Leak Additives for Engine Coolants.